"Excellent way for creating games"
The tutorials shown in the website are very explanatory and really useful resources for starting using the app. It's very easy to use even if you're not a programmer, because it has a lot of graphic tools and features that allow you to create a complete level from scratch. As a level designer, there are not so many tools available for creating the white-boxing stage, however, it's really easy to create open levels. But it really feels the lack of a tool such as the one from Unity called ProBuilder. If you use more Windows than other OS and don't need to much requirements, you can consider CryEngine. The thing I'm creating with CryEngine is a 3D environment that recreates a real place, which is used to visit those places in a virtual reality application. "Very descent option to start creating videogames"
The editor is very easy to use, unlike some other competitors in the market. It has very intuitive and simplistic layout. If you already know how to use another game engine, you won't have issues with CryEngine. It has a lot of power when creating landscapes and ambients. The Flow Graph ain't as powerful as the blueprints in Unreal Engine, e.g., even if you can create a lot of things with that, there are better tools out there. A great benefit are the costs, with CryEngine is very easy to manage what you can have with a free subscription, but with other engines sometimes you feel very limited. "CryEngine lets you quickly create a beautiful game, especially if it's an FPS"
The graphics instantly look great using the engine. The provided assets and terrain tools are extraordinary. CryEngine has the easiest terrain editing tool I've used. The scalability of the graphics engine is very impressive. It's difficult to create something that doesn't match up with the standard Crytek kind of games, like first person shooters. Doing anything complex in 2D (like creating the UI) can be a bit more taxing than it should be. CryEngine seems to be improving constantly, but I would not use this product if I needed to build anything that is very UI or 2D intensive. Otherwise, the out of the box visuals from the engine are amazing, are certainly rival Unreal. Creating games or game prototypes. I think developing a full game would guarantee a good looking game, but it feels like there are a number of hoops to jump through in order to complete a full project. "It's a great choice for large environments"
As an artist, the benefits of being able to see updates to your work in real time is huge... Being able to work within the engine as your viewport not only ensures a speedy workflow, but makes it alot easier for a team of artists to maintain consistency with the look and feel of the game. This goes double when you're working with a large team, or remote / outsource. It is hands down the best approach for anything large and open in terms of stability and world / environment building and population. Vegetation is fantastic. The art pipeline is quite non-universal and can be slightly idiosyncratic, it feels like this may be part and parcel of having been around for so long. If you know it well you can get some incredible results, but the skillset of doing this is not as transferable between engines as something like Unity or even Unreal. If CryEngine meets the needs of your project then it's a very good option to start and continue with for the lifetime of the project, but once you're in, you're in. "Beautiful long running game engine supporting titles like Farcry"
The developers behind this engine are solid and want their platform to be accessible. This business model coupled with a great engine are what make me a happy user of cryengine. Beautiful physics, graphics, and development platform for all your game dev needs. My only complaint with this engine is it seems to favor Nvidia builds over AMD. This is probably just how each are designed and doesn’t correlate to the platform though. I really like this engine and don’t have many complaints. As far as business problems go I actually use the cryengine as a benchmark tool for test graphics cards and video related issues for clients. "Excelent for high quality games"
-With this engine you can create high quality graphics games. 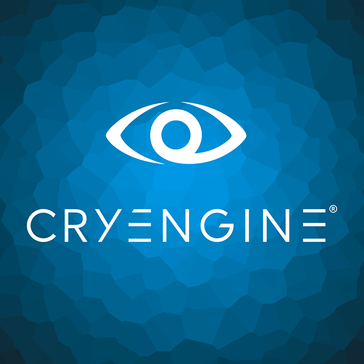 -Cryengine supports VR so you can create amazing stuff for this. -Lots of tools for creating amazing stuff (volumetric clouds, fog, etc). If you are a starter developer, I would suggest to go with c# and unity, if you already know c++ you can check cry engine or unreal. While its amazing for forests and exterior areas the interior scenes still feel a bit off. I am an environment artist and we use it on a daily basis, its easy to use and the learning curvature for the basics are short enough. "An Adequate (but underused) Game Engine"
Ease of use. Free to use. Does everything I need. Takes time to get used to the software and layout. Try it! It's free to use so it's worth a shot. Keeps us from having to create a custom game engine; versatile enough to use for things. CryEngine 5.5 is great. reliable with incredible quality. The editing style is insane. 5% revenue sharing model from the original pay what you want. its a multi-award winning graphics, state-of-the-art lighting, realistic physics, intuitive visual scripting, high fidelity audio, designer friendly .. very easy to use if you arnt tech savy. I think we can't access full source code. They will limit. And even if we can access many codes, most of us can't make own program. Just because "most of us don't have such skill", doesn't mean there's no difference with the SDK content itself - that's just silly. "Good for small team dev teams"
We developed a console game with CryEngine. Great graphics, good for photo-realistic style games/ VR experiences. No royalty fee upon designing the game. It is a truly immersive experience when using this product. It could have slightly better software. Makes the vr experience much more immersive. * We monitor all CryEngine reviews to prevent fraudulent reviews and keep review quality high. We do not post reviews by company employees or direct competitors. Validated reviews require the user to submit a screenshot of the product containing their user ID, in order to verify a user is an actual user of the product. Hi there! Are you looking to implement a solution like CryEngine?